Email Parser & Analytics is an add-on for Google Spreadsheets, that reads Gmail messages and adds them to Spreadsheets. It also can dig unique values from Emails, create charts for analytics and autoremove old rows. 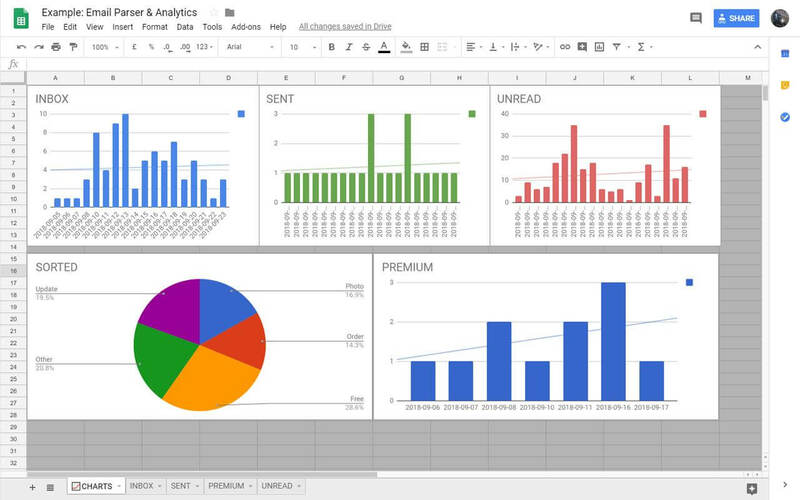 Adds inbox and sent email into spreadsheet rows and creates charts to help analyze data. Automatically runs daily. 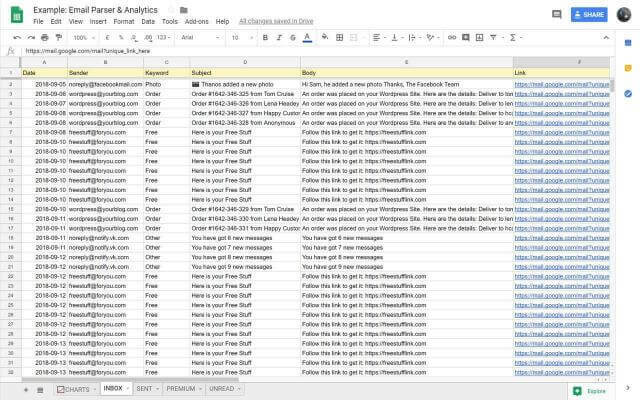 + Premium version can parse additional data from your emails. 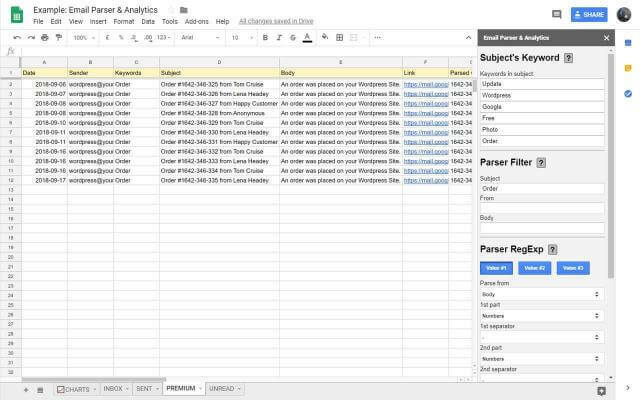 Parser will add last weeks emails to spreadsheet. And will add previous day’s emails daily automatically. We will only use these permissions to run the above mentioned free and premium features of the add-on and to display you purchase options inside the app. Add-on will access your Gmail messages in read-only mode, that means – your emails will not be deleted, labled, answered, marked unread. They will only be collected to a spreadsheet. 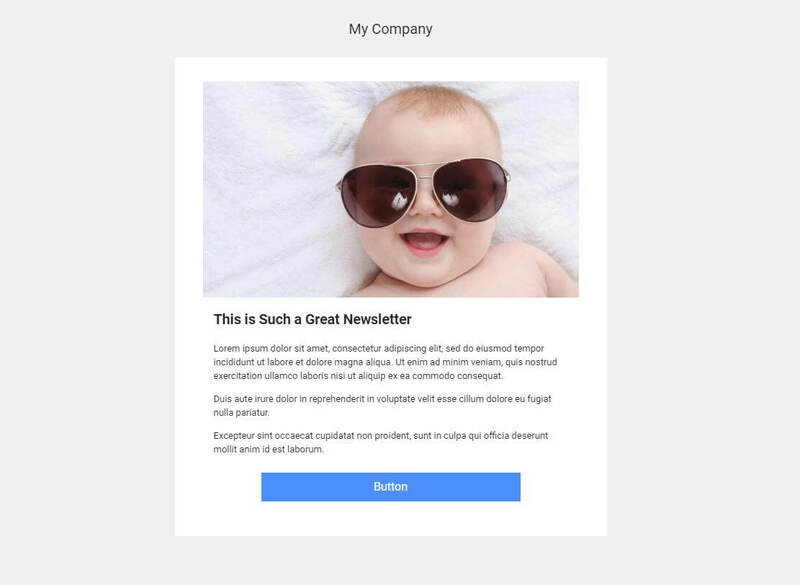 Add-on will use Send email feature to notify you about addon related issues and reports as well as to send Newsletter campaigns created by you. Add-on will have access to a spreadsheet where it was installed to add data from emails to it, and create and manage related pages and charts. 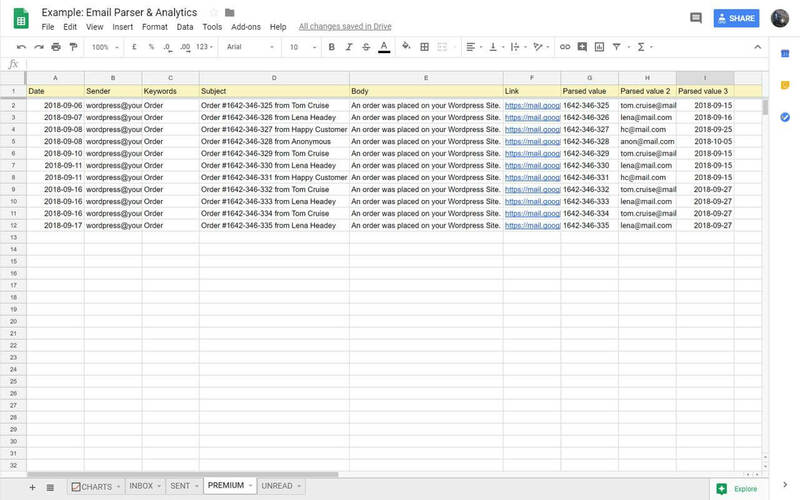 Add-on will connect to external service – Google Analytics, which collects only anonymous software usage details related to source of your installation. Add-on additional pages will display third-party web content – button leading to Yandex Money payment system. Add-on will perform it’s duties daily at a set time-driven triggers, even if you are offline, as long as it is authorized to do so. We will ask for your email to provide you with premium features, if you purchase Premium. We will not store or share any of your personal data that an add-on will have access to with third parties. 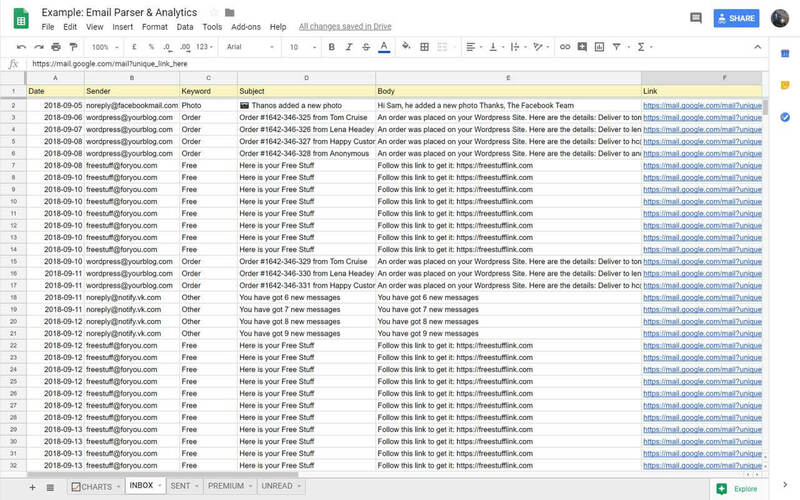 This plugins seems to have a better precision when parsing values, comparing to a Zapier’s one, which often provides wrong results. However, I would appreciate more options and an ability to disable data collection for sent emails, I don’t need that. Overall it’s a good piece of software that does it’s job well.